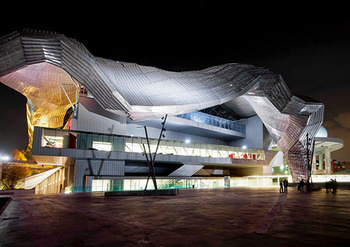 MILAN, Italy — Fiera Milano Spa is the most important trade show organizer in Italy and its MiCo- Milano Congressi convention center is the largest in Europe, with a capacity for 18,000 attendees and 70 different conference rooms. Located in the heart of Milan, the center has a variety of exhibition spaces and its conference rooms feature a complete range of audio and video connectivity including a comprehensive audio upgrade featuring a HARMAN BSS Audio Soundweb™ London networking solution. The installation, located in the Northern wing of MiCo, was designed and built by Volume Srl, Euphon S.p.A. Group with support from HARMAN Professional Italian distributor Leading Technologies. The installation interfaces with the existing BSS Audio network that Leading Technologies provided for the South Block section of the facility. The backbone of the system is provided by BSS Audio Soundweb London BLU-806 signal processors, which offer configurable I/O, signal processing, Audinate’s Dante™ audio transport and Harman’s BLU link digital audio bus. Thirty-seven BLU-806 devices are installed in 18 rooms (along with an audio mixer), with each room’s EQ correction programmed into the BLU-806 devices. The BLU-806 was specified because it is the only Dante-supporting DSP device that could handle the required amount of signal routing and processing and enable a dual-redundant Dante network to run throughout MiCo North. The system utilizes HARMAN HiQnet Audio Architect™ software, which provides comprehensive configuration, control and monitoring of the system. In addition to providing audio and video connectivity throughout the convention center, a major requirement was to standardize operation of the system in any room and accommodate a number of diverse A/V sources. “The BSS Audio Soundweb London system takes in the audio inputs from the mixing consoles via Dante and feeds the amplifiers through BLU link,” explained Volume’s project manager Marco Salviati. Users now also have the ability to send A/V from one room to all the others, enabling multiple rooms to share the same content, yet have individual volume levels. 109 JBL Control® 28 loudspeakers deliver audio throughout MiCo’s rooms. The speakers are powered by nine Crown DriveCore™Install 4I300N amplifiers. In addition, a pair of JBL LSR305 powered studio monitors are used to provide a sonic reference in the master control room.